SMIDGE OF THIS: Disney Tips Part 2 ... From a Disney PLANNER! Yesterday I blogged about a few of the tips I learned from our Disney trip to Magic Kingdom, including the items that I consider must-haves for the park! Catch up HERE if you haven't read it yet! When I found out we were Disney-bound, I knew that I didn't have the time it would take to properly plan out a "perfect" trip. I jumped on Pinterest, typed in "Disney vacation tips" and -- WHOA -- was quickly overwhelmed. This is when I connected with Jenny with Dream Vacations and didn't look back. There was no fee for me to use her services (at all!!!) and she knows the parks like the back of her hand. Jenny was a wealth of knowledge and helped me to understand Fast Passes (including BOOKING them for me! ), educated me on the must-sees of the park, she planned dining reservations for us, she basically did it all. Today I thought you might like to hear some tips from her. She truly is a wealth of knowledge! Hey there - I'm so excited to be chatting with April today about her Disney vacation! I'm Jenny, and I've been married to my wonderful husband for almost 13 years!! We live in Loveland, Ohio and have two beautiful kiddos, our son who is 8 and our daughter who is 5. Jenny, when was your first Disney trip? Gosh, I think I was 4 years old? My guess is that I've been more than 30 times now! We went several times growing up and I always enjoyed it, but my love for Disney really started when I become a mom! I've been to Walt Disney World in MANY stages of my life: as a child, teenager, newly engaged couple, married but no kids, with our first baby, 35 weeks pregnant with my second, and now many trips with both kids! I've been blessed to experience Disney in lots of different "scenarios"! We've also been on two Disney Cruises and last year, we took our kids to Disneyland in California and Aulani, Disney's Resort and Spa in Hawaii! I've always loved giving my friends and family advice for their Disney trips, and one day, it occurred to me that I could probably become a Disney travel agent! Long story short, I began working as an associate for the travel agent we used for our honeymoon (while I was still teaching full time), and about 18 months ago, I decided to buy my own franchise of Dream Vacations! I was able to resign from my teaching job, and I'm living my dream of being a "work at home" mama! As a planner, what is the one piece of advice you always tell your clients? Have a game plan. Disney is not the vacation to "wing it" - so much planning is involved to ensure you get the best trip possible. I'm not saying every minute of every day needs to be filled, but I always recommend having your 3 Fast Passes booked in advance (why wait in a long line if you don't have to?) along with some dining reservations. What are your top 3-5 essentials to bring to the park? 1. A portable phone charger - you'll be on your phone ALL OF THE TIME between taking pictures and using the My Disney Experience app and your battery will start to run low! 4. Ziploc bags - these come in so handy! I use them for extra snacks, keep my phone dry on a water ride, etc. So many uses! What are your favorite attractions at Magic Kingdom? This is a tough one, as Magic Kingdom is my FAVORITE park! Favorite foods at Magic Kingdom? So many good choices! I LOVE the cupcakes from the confectionery, Mickey ice cream bars, and a new favorite is LeFou's Brew from Gaston's Tavern... it's a slushy apple juice drink with a passion fruit foam on the top! So refreshing and yummy! As your travel agent, I'll take care of doing as much or as little of the planning as you'd like! I'll book all of your dining reservations, Fast Passes, give you ideas of how to plan your day, and all kinds of insider tips and tricks! Want to know the best part? My services are FREE for you - I don't charge any type of planning fee. I'm paid by the companies I work with (Disney, Royal Caribbean, Sandals, etc. ), so there is no extra cost for booking with me. My prices will be the same as what you see on Disney's website! By booking with me, you're getting free "concierge" services and supporting my small business as well! While Disney vacations are my specialty, I plan and book many different types of vacations including but not limited to cruises, all-inclusive resorts, Hawaii, and European adventures. 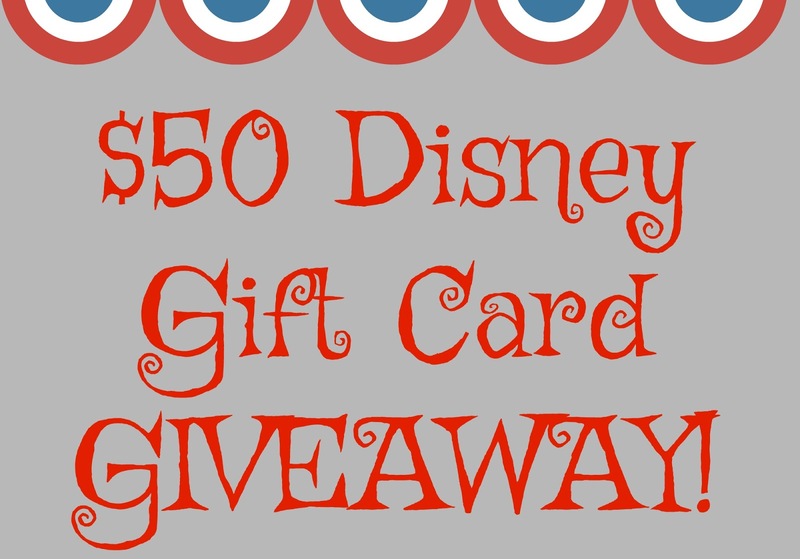 Jenny has offered a $50 DISNEY GIFT CARD giveaway for you! Disneyland, Disney Cruise, Disney Store, or disneystore.com. 3) Leave a comment below confirming you liked her page AND saying what your favorite Disney movie, character, or theme park ride is. 4) A winner will be chosen using random.org and will be announced Friday! Liked! My favorite ride is a tie between Tower of Terror and Space Mountain! Liked! Favorite Park is Hollywood Studios! Liked! I love Space Mountain and Soarin! Liked! We love the magic carpet ride! Liked! I love Moana, the anti-princess, princess! We are headed to Disney in Nov and would love the gift card! Liked! I have not seen the new movie yet, but I love the animated Beauty and the Beast. When visiting France last year, I had the songs in my head the entire time! Taking my little Frozen-loving 2 year old daughter to Disney world in a couple of weeks!! Liked! My favorite Disney movie of all time is Lion King and no Disney trip is complete without a ride on Soarin! Liked. Love Splash Mountain! Looking forward to my first trip to Disneyland in June, can't wait to see what's different from WDW. Liked!!! Favorite ride is the teacups!!! Liked! My favorite park would probably be epcot. I went with my younger brother for his 21st birthday so we could "drink around the world" truly a wonderful experience. And my favorite movie would probably be Beauty and the Beast. Liked! I don't know what my favorite ride is. We haven't been there in like...14 years. But now that we have kids we are trying to plan a trip later this year. Peter Pan is my favorite movie though. Liked :) my favorite ride is the toy story ride...perfect for family fun! My favorite character is Belle. Eeek! We are going to Disney in a month so that would definitely come in handy! I liked her page, and I'm going to contact her about our trip, too! :) My favorite Disney movie is Cinderella! Liked! My favorite movie is Lady and the Tramp. I liked her page and will reach out to her in a few months when we begin our Disney trip planning! My favorite Disney movies are Beauty and the Beast and Rapunzel, but I love the classic teacups at Disney. Of course they make me sick, but I would love to watch my kids ride them while eating a ice cream cookie sandwich (my fave) at Disney World! Liked! And how on earth can you even decide what your favorite ride is at Magic Kingdom? I think Space Mountain will always be at the top of my list! Liked! This is silly but I'll forever love 101 Dalmations or The Little Mermaid (luckily my daughter does too!) She turns 2 next week and we need to get a disney trip planned in the next couple of years for sure! What a cool small business she runs! Love it! Liked! THe LIttle Mermaid all the way. Wonderful tips! I liked Jenny's page and will probably contact her as I'm in the early stages of planning a Disney cruise! My favorite movie is Beauty and the Beast (love the original and the new one!)! I don't really have a favorite ride or character, but I love the memory of my toddler meeting her favorite character (Mickey)! Liked! I love everything Disney! My old favorite ride is Toy Story Mania, but now it is The Little Mermaid ride because it was my sons favorite ride on his first trip last year. I can't wait to take him back in a few years! Liked! Funny enough, my husband and I sat down to start planning our son's first trip to Disney over the weekend and clearly had no clue what we were doing. I will definitely be contacting Jenny! My favorite park growing up was Animal Kingdom because of the rides, the characters in safari costumes, and all of the shade the extra trees supply! Liked! My favorite is always Space Mountain! Liked! Oh my word, your post has made me want to take our almost 3 year old to WDW stat! Kind of weird, but my absolute favorite ride is the people mover in the Magic Kingdom, it's a relaxing ride and always has a short line. Liked! We are starting to dream about our first Disney Cruise! My fave ride at Disney World is the Tower of Terror - always thought I'd be too scared to ride it, but now can't get enough! Liked. My favorite character is Mickey Mouse , of course. Liked! It's so hard to choose but I think my favorite ride would be Space Mountain!! Liked! My favorite ride is Splash Mountain. Liked and my favorite movie is The Lion King. Liked and my favorite character is Minnie Mouse. Thanks for the giveaway. I liked Jenny's page and my favorite Disney movie is Beauty and the Beast! I liked Jenny's page. My favorite movie is the Little Mermaid but Moana is becoming a close second! I liked Jenny's page! My favorite ride is Space Mountain. It's always a fun time! Most in my family loved seven dwarves mine train ... MOST! ;) Liked the page! Not sure if I'm too late or not but I'll give it a try!! Liked. My favorite ride is Pirates of the Caribbean followed closely by the People Mover and Tower of Terror.